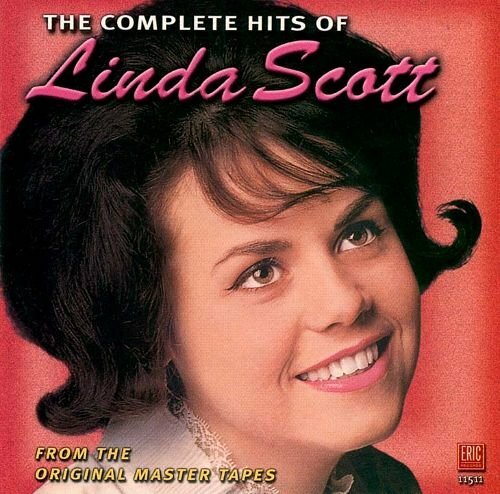 The Complete Hits of Linda Scott contains all 12 of her Billboard chart hits in addition to ten other recordings from her early-'60s heyday. Mastered from the original tapes and with all but one of the tracks presented in true stereo, no illegitimate import can approach the sound quality and presentation of this package. "I Told Ev'ry Little Star" is Scott's biggest and best-known hit (and one of only three that cracked the Top 20), but her other efforts boast inventive arrangements, a greater measure of vocal talent than the average teenage thrush, and a handful of songs written by Scott herself. 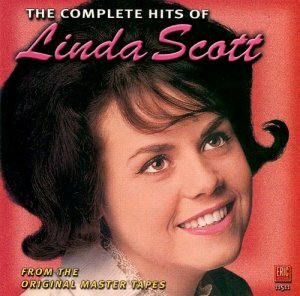 With a photo-filled booklet and informative liner notes, The Complete Hits of Linda Scott is the ultimate tribute to a minor but worthy star.